We recently demonstrated that transposable elements underlie much recent adaptation in Drosophila melanogaster (Gonzalez et al. 2008). In a paper just published by Molecular Biology and Evolution and led by Josefa Gonzalez we describe a follow-up detailed investigation of one such TE (called Bari-Jheh). Bari-Jheh is located inside a cluster of Juvenile hormone epoxyhydrolases (Jheh1, Jheh2, and Jheh3). 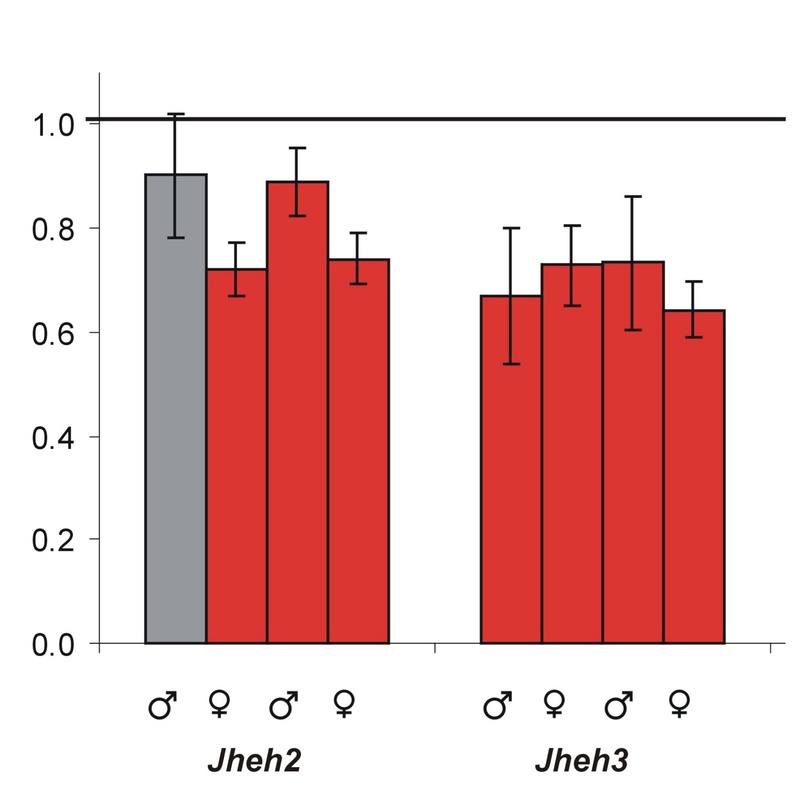 We confirm that Bari-Jheh is the apparent cause of the adaptation and extend the study of its molecular effects to show that it leads to decreased expression of the neighboring Jheh genes (Jheh2 and Jheh3). Furthermore, we demonstrate that these molecular effects have predicted phenotypic effects on life history traits. The very curious part of this work is that Jheh genes appear very strongly conserved in evolution and do not show any signs of recurrent adaptation in Drosophila. The fact that in D. melanogaster we catch a recent adaptation in these genes might suggest that Bari-Jheh is either a very rare adaptive event and we were just lucky to catch it or that adaptation happens recurrently at the Jheh genes but leads to short-lived adaptive polymorphisms that are destined to be lost. This work further suggests that the focus on recurrent adaptation might obscure non-recurrent or ephemeral adaptation that might be important within species.